The five video played fine. I've downloaded both items of software (default settings) that you suggested and restarted my computer, but the clip still won't play with my version of WMP. Incidentally, both VLC and Nero will play it but Real Player won't play it either! What's your exact operating system and if it's Windows XP, is it service Pack 2 or above? Have you downloaded the file to your computer first, then tried to play it from there? Could be a codec issue of some kind as VLC Player has all its codecs built-in so is independent of what codecs you have (or haven't) installed into Windows so it wouldn't care if any aren't working properly. Hi Dave, I already downloaded VLC v0.904 last night & its literally brilliant . I'd lost my sound with v 0.86 but it returned fine with the above. I started with your recent clip 5TV & it was fine. Interesting was, as I was trying different clips, I came to the Malvina-Hayley set & no sound at all, just an error message saying that it had no support for Winamp codecs & there was presently no fix. I have Windows XP Service Pack 2 and yes, I have downloaded the file. I'm completely stumped as usually, any suggestions made on the forum usually fix the problem. When I get back from Newcastle, I may try downloading the video again and see if that works. While the DivX codec mentioned by Richard should work on most computers, it is only for Windows computers as far as I know but of course, you have Windows. In fact the exact codec is not DivX but is a related one Xvid, which I chose because it has versions available for the Mac and Linux as well as Windows. So to be sure, you should download and install Xvid from here.. Macintosh users will need to Google for "Xvid for Mac". Windows Users having problems with video or audio can download and install FFDShow from here (it's now known as ffdshow-tryouts) which includes almost any video or audio codec you can ever think of. I wouldn't be without it. I'd also hoped to be able to suggest VLC Media Player but I'll now wait for Graeme to reply first. Another detail for mine Dave is that I've had FFDShow for some time now & it was responsible for improving my WMP no end. But VLC player left on default aspect ratio was "thin". On being set at 16:9 the displayed video was normal. Hi Graeme, I tested the Five News video with VLC Media Player version 0.8.5 and it played correctly, first time and every time. However, I've just checked the VLC website and i see they are now recommending that we all update to VLC Media Player version 0.9.4 (and 0.9.5 when it's available). So I've installed that version instead and... the video played correctly first time and every time. It's also a pretty cool improvement over the old version! I was going to recommend VLC Media Player to anyone who is still having problems but I think we need to solve yours first, do you have the latest version? Also, as it is available for all major operating systems, can you please confirm exactly what your O/S is? I downloaded the codec but the FiveNews video still won't play on WMP for me. I can't agree with your comments about DivX and Xvid. They are both separate codecs and both useful on most computers, I would have thought. I only have windows computers, both XP and Vista and both use both Xvid and DivX. DivX is a bit more for those going more deeply into video processing, perhaps. The key words here are "from this site". I have never had a problem from the forum, but on the HWI main site I can only get the videos to work using IE. My Opera and Firefox browsers report they are minus the addons to run the videos, and this problem is a matter of the streaming media add-ons in my browsers, not a codec problem. At the moment my Firefox won't accept many add-ons and while I believe it can be fixed, I'm living with it at the moment. (Solving such problems can require running your system cold to see if it works then, and then putting half your processes back on... and so on, until you have isolated a conflict...) If that doesn't work you can go and shout yourself a beer anyway, in appreciation of all your effort. To find out which version of Firefox you have go to "Help" and click on "About". What I'd like to know is where you are exactly trying to play this from and how? 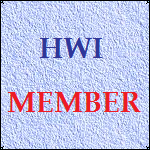 Are you clicking on it on a Web Page in a browser -- on the HWI page? Or is it on your hard drive? Those vedeos on HWI use an embedded streaming media thingme, and are in .wmv format (the ones I've seen). My Opera and Firefox may work better if I upgraded to WMP 11 but I want to stay with 10 because of conflicts between 11 and a major program I have. I will have to try these clips on my laptop which has Vista and WMP 11. If you are still running WMP 10, upgrading to 11 may help... Microsoft is doing some funny things with embedded video. But if it is on your hard drive in a .wmv format, any Windows player should play that. The codecs are usually needed only for .avi files, which windows doesn't support. Don't tell the admins, but if you get into the source code you can pull out the end of the URL ending in .wmv and connect it up in the right place and then the video plays on your machine straight into WMP 10 and you can save it straigt onto your had drive too! Hi Stuart, I haven't said otherwise. They are partially compatible but to be sure, you need both and in fact, both FFDShow and VLC Media Player (that I and Graeme have recommended) contain both. For the moment, i want to stick to that - which involves one video only (two versions of it). I don't want to get into other issues until we have a result on this one, it will get too complicated. So for now, let's forget the HWI website/browser issues please. Ok, sorry. What may be of help is that I have difficulty getting them to play through Firefox, and they are dead slow through Opera. But I do get an automatic option to download them onto my hard disk from where both go fine and are of excellent quality. BTW I have a friend with a Mac who tells me he can play most formats. He is pretty computer literate though and has VLC for Mac and other add-ons. The Satsuki codec pack that I mentioned includes FFDshow. .Avi files can be used on most machines, but will require the addition of codecs on Windows machines. I prefer them to Windows Media (.wmv) and I think they are a more versatile alround useful file. Most people will have the codecs to run .avis already on their machines. This dosen't work for everyone (nothing does) but does for most. It has as good a reputation as anything. Make a restore point before installing it -- a good idea whenever installing something new. I can now play everything with WMP 11!! I'm off to bed now as I have a concert to attend tomorrow tonight. Thanks for the help guys, it really is appreciated! Great news Grant, where there's a will, there's a way! I tried the F11 key and it really maximizes VLC. The other issue, as Dave said is a codec problem, I think! I have installed "K-Lite Codec Pack", I don't know what version. I realize just now that it's available a very recent version. Dave do you think this could help? Paulo, clearly, yes, well done! So Glad that it helped!